London : In a finding that could challenge the widely accepted theories of human evolution, researchers have discovered 5.7 million years old human-like footprints on an island in Greece. 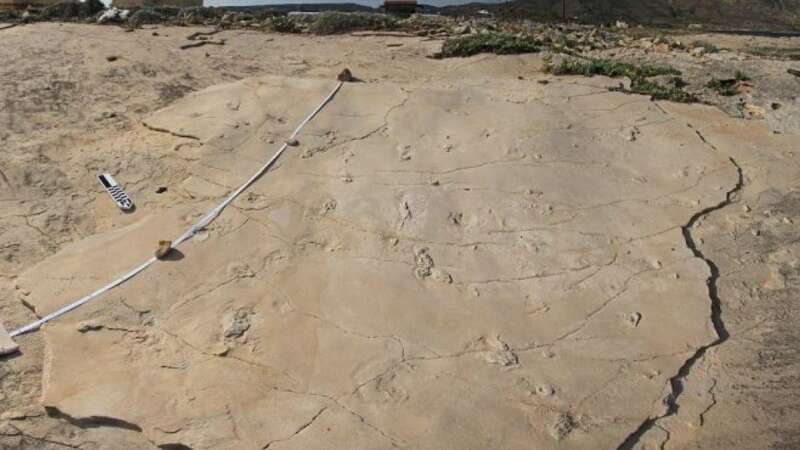 The new footprints from Trachilos in western Crete, described in the journal Proceedings of the Geologists' Association, could take the trail of early human evolution beyond Africa. "What makes this controversial is the age and location of the prints," said one of the study authors Per Ahlberg, Professor at Uppsala University in Sweden. This conflicts with the hypothesis that Ardipithecus is a direct ancestor of later hominins. But the new footprints from Trachilos have an unmistakably human-like form. This is especially true of the toes, the researchers said.